Sorry to leave you hanging like that! I certainly haven’t forgotten about this blog, nor have I lost interest in writing these articles. I have so much more material planned! 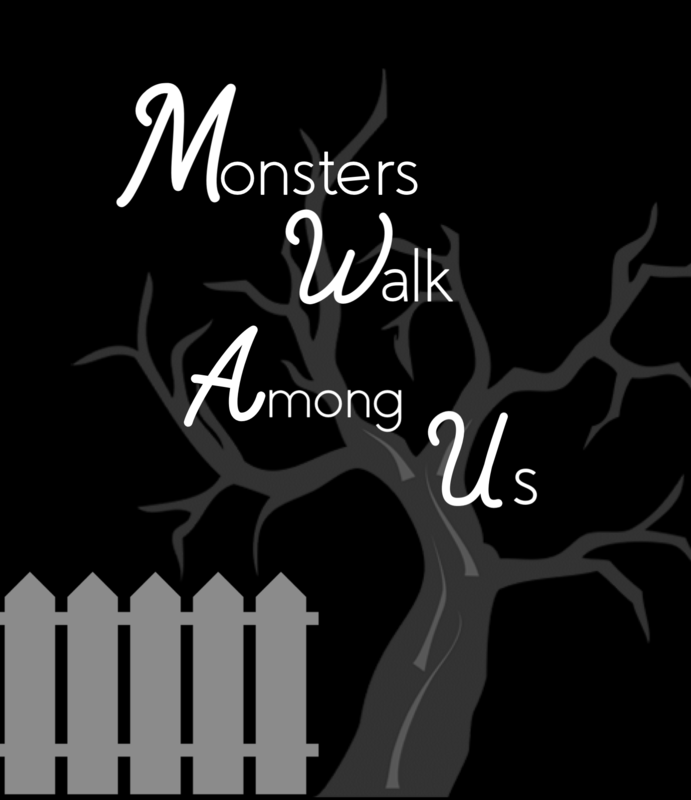 My blog had been put on the back burner for the past month and a half because I’ve been busy writing the full length book version of “Monsters Walk Among Us”! The paperback version of this all new novel released today (October 2nd) and is available on Amazon.com and its affiliates, both in the U.S. and worldwide for $12.99 USD. The digital (kindle) version should be available for purchase tomorrow afternoon and will be priced at $4.99 USD. The digital version also will be included for free with every paperback purchase, as soon as its live. I highly recommend the paperback version! I always go digital with all my media except books. Curling up with a cup of coffee and a iPad just isn’t the same to me as having the physical paper book in my hands. Furthermore, an iBook, Barns and Noble (nook), and a limited book store release is planned for late October. The book contains some of the content that you’ve read on the blog only it’s much more detailed and it contains far more personal stories, theories, and overall content (also, unlike the blog, it is actually complete :)). The past two months I spent writing this book have been some of the most rewarding and fulfilling of my whole life, between all the afternoons spent in coffee shops, to the late nights spent awake, determined to finish just once more section. I’m beyond excited for people to read my work. Now that the book is done, I’m going to resume posting on this blog, once a week (starting this week!). I’m super excited to finish “Destroying Your Tower “and then begin work on a whole new series.